WHEELS: 19" X 7" PAINTED ALUMINUM (STD), VICE WHITE, TRANSMISSION: 6-SPEED AUTOMATIC 62TE (STD), RADIO: UCONNECT 3 NAV W/8.4" DISPLAY, QUICK ORDER PACKAGE 28P -inc: Engine: 3.6L V6 24V VVT, Transmission: 6-Speed Automatic 62TE, NAVIGATION & BACK-UP CAMERA GROUP -inc: SiriusXM Travel Link (subscription required), Universal Garage Door Opener, Garmin Navigation System, ParkView Rear Back-Up Camera, ParkSense Rear Park Assist System, SiriusXM Traffic (subscription required), Radio: UConnect 3 Nav w/8.4" Display, MANUFACTURER'S STATEMENT OF ORIGIN, ENGINE: 3.6L V6 24V VVT (STD), COMPACT SPARE TIRE, BLACK/RED, LEATHER TRIMMED SEATS W/PERFORATED PANELS. 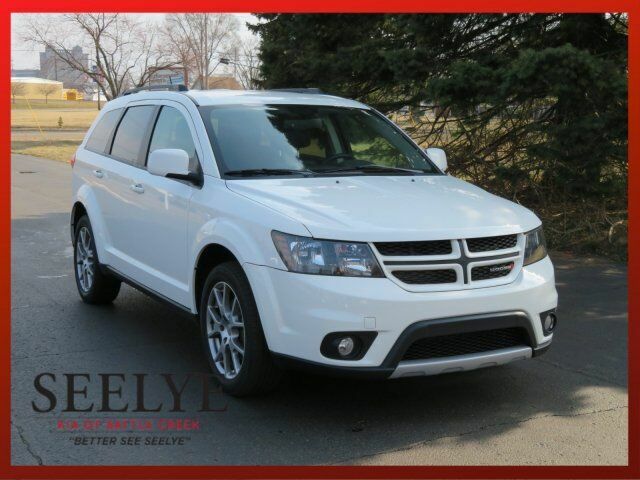 This Dodge Journey has a dependable Regular Unleaded V-6 3.6 L/220 engine powering this Automatic transmission. Wheels: 19" x 7" Painted Aluminum, Valet Function, Uconnect w/Bluetooth Wireless Phone Connectivity, Trip Computer, Transmission: 6-Speed Automatic 62TE, Transmission w/Oil Cooler, Towing Equipment -inc: Trailer Sway Control, Tires: P225/55R19 BSW AS Touring, Tire Specific Low Tire Pressure Warning, Tip start, Tailgate/Rear Door Lock Included w/Power Door Locks, Systems Monitor, Strut Front Suspension w/Coil Springs, Streaming Audio, Steel Spare Wheel, Stainless Steel Exhaust, Speed Sensitive Variable Intermittent Wipers, Side Impact Beams, Sentry Key Engine Immobilizer, Remote Keyless Entry w/Integrated Key Transmitter, 2 Door Curb/Courtesy, Illuminated Entry and Panic Button.